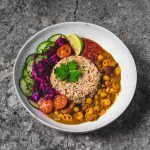 In Suriname we have brown beans with rice as one of our staple dishes, and today I’m giving one of my favourite dishes a twist with this flavour infused bowl. 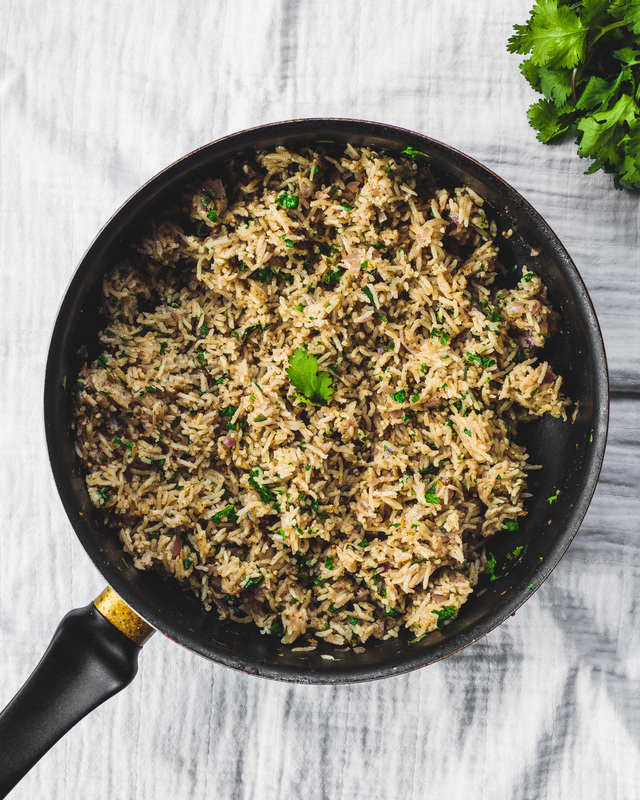 Our rice is going to be spiced (recipe here) and for the beans, we’re going to make something special, a triple bean stew to give this meal some healthy protein. So whenever someone asks you, “where do you get your protein?” you just serve them this bowl, they’ll thank you for it. To add some extra colour to this weeks Indigo bowl I added some massaged purple cabbage by finely chopping 1/4 of a purple cabbage and massaging it with some lime juice, salt and toasted sesame seeds. The nice thing about sauces like these is that you can make a big batch and that they get better with time, so you can leave them in the fridge for up to a week, and each day the taste will increase, leaving you with the most delicious leftovers! If you end up making this Indigo Bowl, don’t forget to tag me on Instagram and use #indigobowl so I can see your creation. Looking for a protein filled bowl? 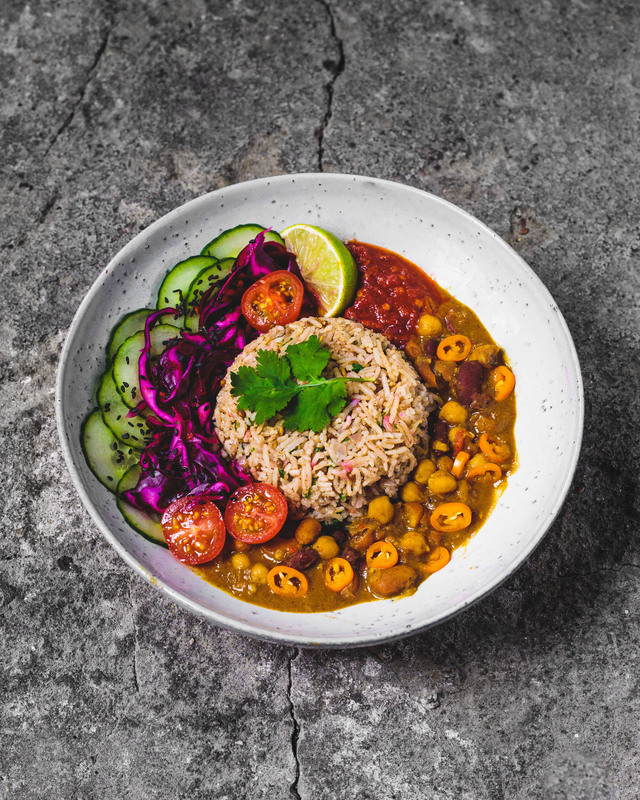 Look no further as this bowl, packed with flavour will meet your protein needs, in a healthy and delicious way! To start add some oil to a large cooking pan on medium/low heat. Once hot add the onion and garlic and cook until fragrant and the onion turns translucent. Now add the finely chopped tomatoes and cook until most of the moisture has evaporated. Add the spices and cook for a minute before adding all the remaining ingredients with about 3 cups of water and let it simmer on a low heat until you get your desired consistency. Keep stirring every now and then to prevent burning on the bottom. Serve with rice, roti or whatever else your heart desires. Enjoy!